The University of Johannesburg women’s volleyball team beat 3-0 in the first derby of the semester at Old Mutual Sports Hall on Thursday, July 26. The match was part of the Johannesburg Volleyball Union league. It was a one-sided affair with UJ securing all three sets. UJ easily defeated Wits 13-25, 16-25, 18-25. The two teams started off strong with Wits serving well, and backing that up with producing effective blocks to keep UJ at bay. However, after losing the first ten points UJ began to find their rhythm by using their more experienced players. Wits were able to string a few tactical set pieces together but battled to keep their performance consistent. They were able to retrieve four straight points in the second set before UJ called an emergency team talk to break their rhythm. The final set saw Wits attempt a rescue mission of the game. They lead the game 18-16 but were unable to capitalise on the lead and a few handling errors caused them to lose momentum. Wits woman’s player, Stacey Nheera, said that Wits lacked the spirit to come back and win the game once they fell behind. “We need to build on our spirit, we dropped our heads and we couldn’t get it back,” she said. 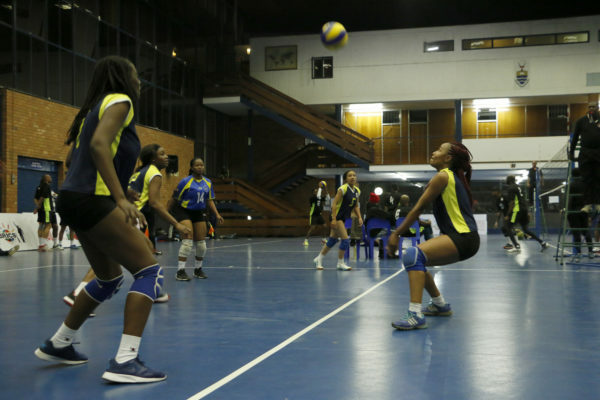 Wits volleyball woman’s team play a repeat fixture against UJ on Monday, August 6.